When you accept Life for what it is, you will be free! 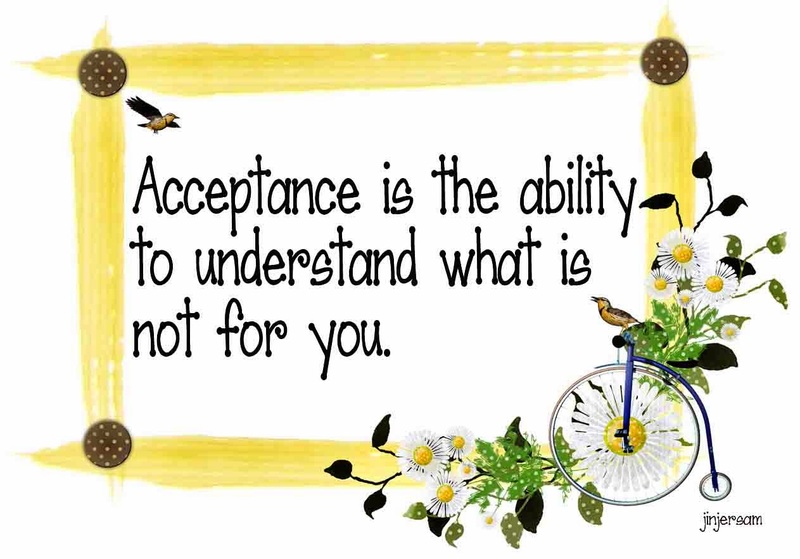 But we all have a problem with acceptance – always! Your mind does not keep quiet. It keeps on reminding you that your Life ought to be different from what it is. So even if you see the stark reality in front of you, your mind insists that you don’t accept that reality and keeps encouraging you to wish that there be a different reality. But there can only be one reality. The truth does not have versions. Then it is not the truth. It is then either an opinion or a perception. So, how intelligent it is, in the face of reality, to wish for another truth? It is stupid, actually, if you examine the concept of acceptance closely. Your child has come back from school and is reporting the loss of her school bag that had the Nick character Dora on it. Your child’s Dora bag was a special edition bag that was launched by Nick as a promotion. Now you can’t get the same bag in the market, nor can you order it online. That edition of school bags is sold out. But your child wants exactly the same bag. Over the next few days, and weeks, you console the child. But every day the child demands that bag and is woeful about it all day. Finally, exasperated, you tell your child: “Listen, you can cry as much as you want. But you are not going to get that bag again. It’s just not possible.” Chances are very high that with such firm communication, the child will forget her old bag and learn to live with a new one that you have got her! You have lost your spouse. And are simply not able to come to terms with that reality. Many months have passed but you find your Life meaningless and listless. Your friends and family try to cheer you up. But you seem to be wedded to your grief. Your mind keeps going back to the past and wishes your spouse was still around. What if someone came up and told you: “We understand your pain. We know we miss your spouse. You can cry as much as you want, but you are not going to get your spouse again. It’s just not possible!” Chances are you will struggle with this reality. While you understand it, you will be unwilling to accept it. So, in essence, it’s your unwillingness to accept your current reality that is causing you grief and suffering. Never the reality itself. And that’s where perhaps we can learn from children. They have an amazing ability to accept and move on.